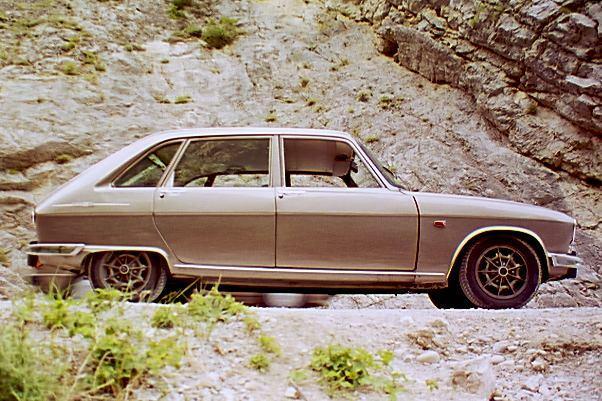 The Renault 16 Site Forum • View topic - How low can you go? Just wondering how low you can set the suspension on an R16 before you get into trouble? I was thinking of resetting it to the lowest of factory settings -- and then possibly going 1" lower. One way to find the absolute maximum would be to first check how much lower it gets when you load it to you prefered max, 1 person, 2 persons, 4 persons + luggage or what ever. Then release the torsion bars and let it hit the ground... Lift it until the front wheels are reasonably straight forward, then lift it the same distance as your max load lowered it, and voila, there is your new ride height. But, remember that the front suspension bushes will be strained when the car is lower than original. I'll try the lowest factory standard setting as described in the Haynes Manual and then see if I want to go any lower. And now I know exactly how low I want to go.